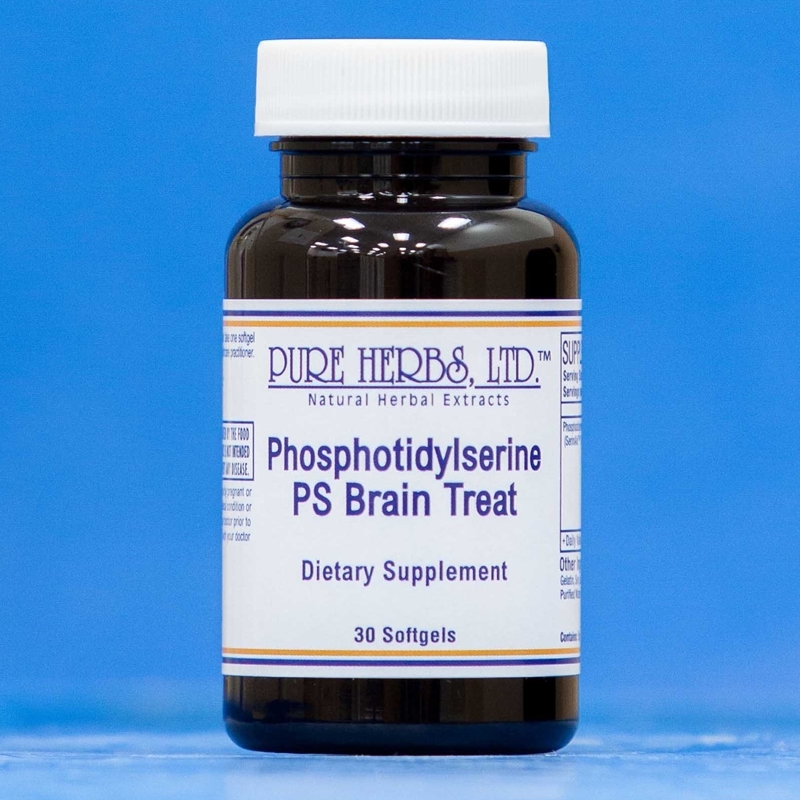 PS BRAIN TREAT (PhosphatidylSerine) - This combination of herbs is beneficial to support cognitive function. * (SerinAid (PhosphatidylSerine) Soybean Oil, Glycerin, Gelatin, Water). N-W (Nerves) 4 fl. oz.